Battlepacks are making a return in Battlefield™ 1 - and we’ve made quite a few exciting changes to them. This time, it’s all about great content and customization options in the form of weapon skins that will make you stand out on the battlefield. 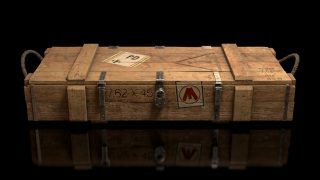 For Battlefield newcomers, Battlepacks are in-game boxes containing items that you can use to customize and enhance your Battlefield 1 experience. 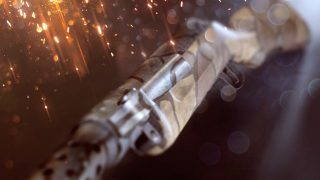 Each Battlefield 1 Battlepack contains one weapon skin. Some packs may also include an additional melee puzzle piece or an XP boost. The Battlepacks are earned by simply hitting the battlefield and playing the game. At the end of a match, a certain number of people who have stuck through the fight will earn a Battlepack and can head to the menus to break it open. This time around we have focused on one type of Battlepack – simply “The Battlepack”. You can get all kinds of items in this Battlepack and rarer items are not limited to a higher value pack. 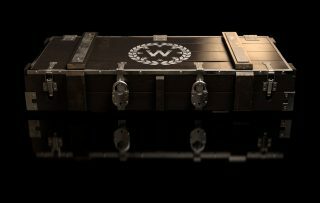 There are two modified versions of The Battlepack – Enhanced and Superior Battlepacks – which guarantee you a weapon skin of a specific rarity level. You can only get these modified versions by spending the in-game currency called Scraps (more on that later). When you open the Battlepack you will always get one amazing looking weapon skin. These skins come in three different rarities – Special, Distinguished, and Legendary. You may also receive a rare bonus item - either an XP boost or a puzzle piece to a unique melee weapon. Collecting all puzzle pieces to a melee weapon will enable you to assemble it and bring it into the game. On a regular basis we will rotate the pools of Battlepack content, or revisions as they’re called in-game. With new revisions coming up, it’s a good idea to stay connected to the game to see what awesome items you can get a hold of. Before you open up a Battlepack, you will see a list of what skins the current revision contains, making you aware of whether a skin for your favorite weapon is contained in the pool of possible items. So what about that Scraps system? Here’s how it works: when you receive a Weapon Skin or a Bonus Item that you don’t want or need you can salvage it for Scraps, an in-game currency that can then be spent on new Battlepacks. As mentioned, spending Scraps is the only way of getting hold of Enhanced and Superior Battlepacks. You might want to save up Scraps for an upcoming revision of Battlepacks containing a skin that you know you want. There you have it. We hope you will enjoy the new and improved Battlepacks system. Your hunt for a Legendary skin for your favorite weapon can soon begin. Battlefield 1 launches on October 21 (or October 18 if you get the Early Enlister Digital Deluxe Edition).